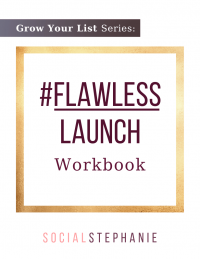 Get Your #Flawless Launch Workbook! Create the online marketing strategy for your launch in 15 minutes. 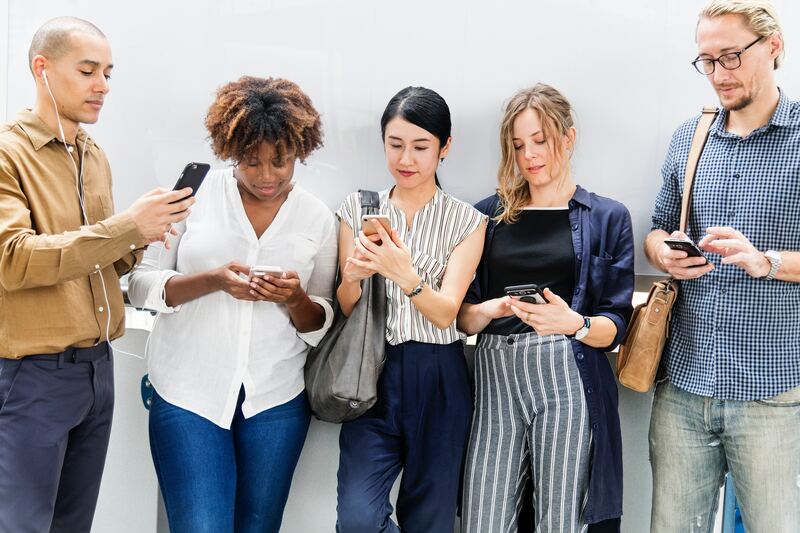 FIND OUT WHERE YOUR IDEAL AUDIENCE IS ALREADY HANGING OUT, AND ENGAGE WITH THEM. THE FREE #FLAWLESS LAUNCH WORKBOOK HELPS YOU PLAN OUT EVERY STEP OF ONLINE MARKETING FOR YOUR COACHING COURSE, BOOK OR PODCAST LAUNCH. 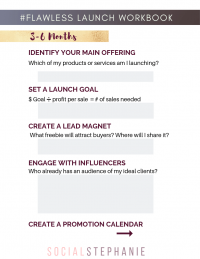 Download the #Flawless Launch Workbook to plan out online marketing for your product or service launch. Easily organize your marketing campaign strategy. 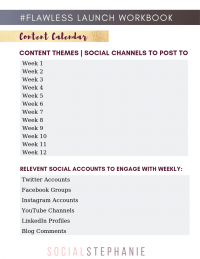 Comes with a calendar to plan content marketing on your social media platforms. These are the EXACT steps the #Flawless Launch Workbook walks you through, so that your launch is successful, not stressful. Don't freak out! You don't have to memorize these steps. That's what the workbook is for. Hi, I'm Stephanie Perry, and I'm a freelance writer for coaches. It breaks my heart to see a coach who has a heart to serve get discouraged with the sales process and throw up their hands in defeat. And I don't want to see you wasting your time on a million different, unproven ways to get clients. 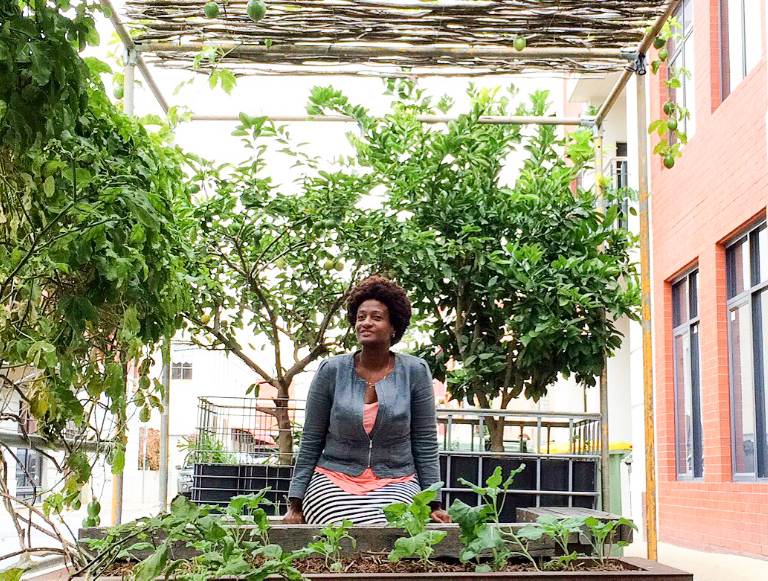 So I created this free workbook to organize your launch and keep your business on track. 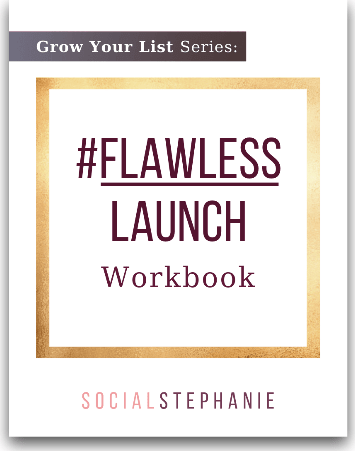 Once your email is confirmed, you'll receive the link to download your #Flawless Launch Workbook. In the meantime, pop over to my blog to read 6 Steps to Getting New Clients Before You Even Have a Website.